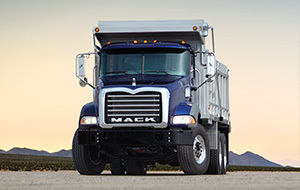 The Mack Granite® MHD gives you durability without the extra weight. 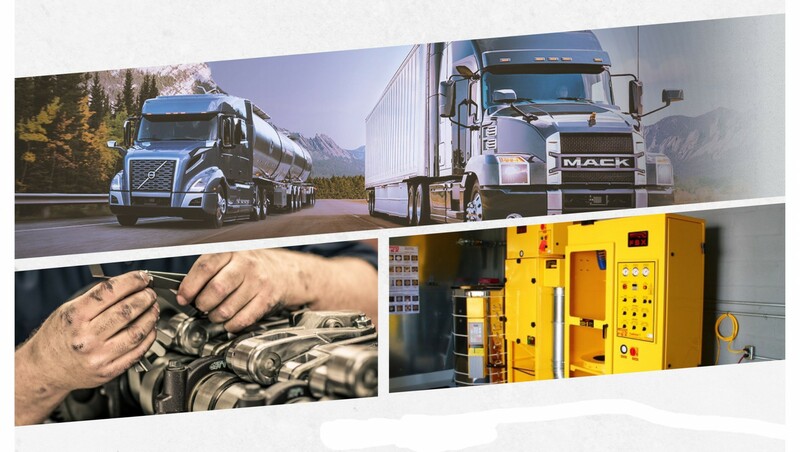 Ideally configured for shorter runs and lighter-duty cycles, Granite MHD reduces weight without sacrificing durability and comes in Class 7 and Class 8 configurations. The Granite MHD is available in 6×4 and 4×2 configurations and is prepared to take on your daily challenges. It comes in axle forward and axle back models, and starts at a 33,000-lb. GVW rating. Its cab-mounted exhaust provides a clean back-of-cab to accommodate almost any body option. With a tight steering radius, Granite MHD is perfect for narrow streets and crowded jobsites. Granite MHD has the right power for when you don't have to haul a heavy load, but need plenty of strength for the toughest jobs. The unyielding foundation of any job, Granite MHD has the brawn to get the job done right. 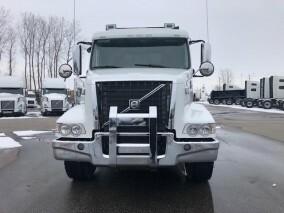 Heavy-duty crossmembers provide the strength to tackle any job, while a rugged galvanized steel cab and rubber-sealed windshield keep drivers safe. 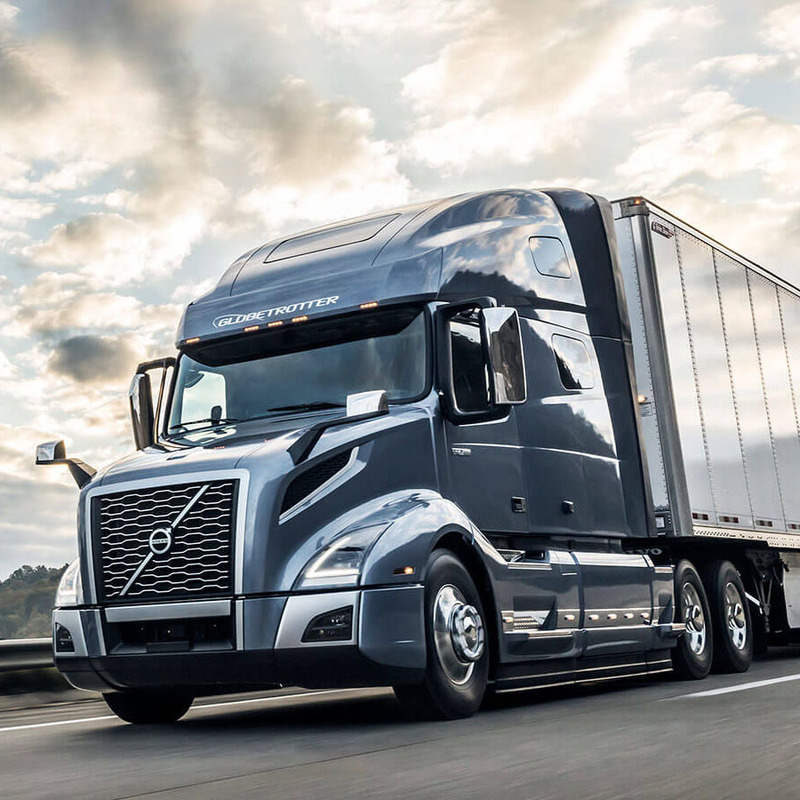 Top-mounted rear axle carriers minimize driveline angle and improve fuel efficiency and ground clearance. The Granite MHD gives you a rock-solid performance every time you drive. It comes equipped with a Cummins ISL9 345 HP engine, offering a maximum torque rating of 1,150 lb.-ft.
To fit the needs of whatever job you face, the Granite MHD offers either an Eaton-Fuller manual or an Allison automatic transmission. Keep moving forward with the Granite MHD’s uniquely designed tank that allows you to hold more fuel in the same space, with 66-, 88- and 110-gallon capacities available. A 6.6-gallon integrated DEF tank is standard. The Cornerstone chassis utilizes a high-strength steel alloy design and constant rail height to create a strong-yet-light frame to handle whatever the workday throws at you. This chassis has a 7-mm frame rail thickness specifically for the Granite MHD and is also available in 8-, 9.5- and 11.1-mm frame rail thicknesses. With UniMax axles, you move the way you want. The short distance from bumper to tire provides front-end swing clearance, outstanding wheel cuts and an exceptional turning radius. And its steer axle hubs are sealed and maintenance-free. The Granite MHD’s ideal axle option is the 16,000-lb. axle capacity, but four additional axle options are available in 12,000-, 14,600-, 18,000- and 20,000-lb. capacity. The Granite MHD’s durable, galvanized steel cab is mounted on airbags and shocks, so you stay comfortable while your truck does all of the heavy lifting. A sanctuary from the rough road, Granite MHD’s redesigned interiors keep drivers safe, comfortable and productive. Redesigned and purpose-built, Granite MHD’s interiors minimize driver wear and tear and maximize comfort. 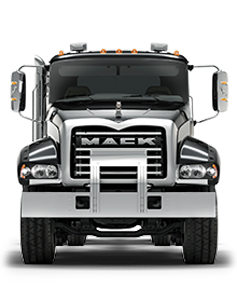 With additional storage, Mack-exclusive seats, steering wheel controls and a customizable dash with four optional auxiliary guages, the Mack Granite MHD's interior gives you comfort and control to help you have the best possible driving experience.